Have you ever walked into an organic section of your local grocery store, picked up a bunch of bananas and then asked yourself, Why are these organic bananas SO much more expensive?! Rest assured that you are not the only one, as countless other shoppers and consumers have pondered the very same question. And today, we are going to solve this mystery by having a look on how organic foods are produced, and to see if it really worth the high price or not. 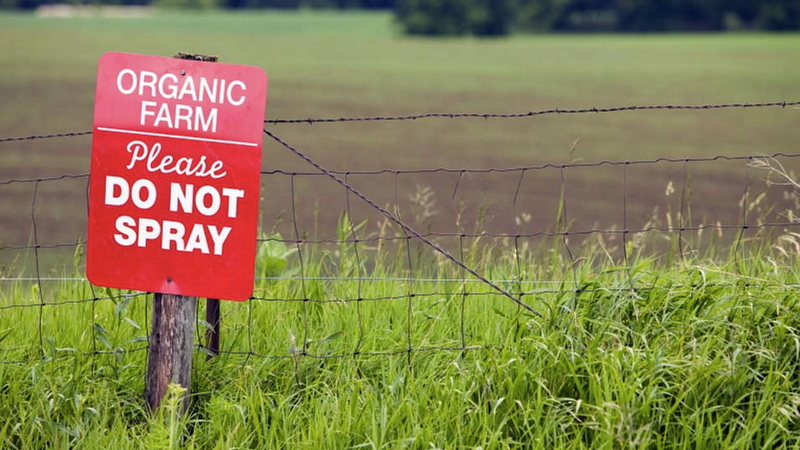 What does organic farming actually mean? Although “organic farming” sounds like just another buzzword these days, it actually reflects the way that humans have been producing foods for thousands of years, before chemicals and synthetic fertilizers in agriculture became so dominant. Part of our common understanding about organic farming is true: the process of organic farming does not allow synthetic fertilizers, pesticides, herbicides or GMOs (Genetically Modified Organisms) to be used. However, organic farming is much more than that. By removing chemicals from the farming process, organic farmers must find solutions for issues like soil degradation, pest invasions, harmful wild plants, etc. Organic farming, therefore, requires intensive labour, using natural techniques such as crop rotation, compost and biological pest control to prevent the above-listed issues. As you may already know, plants get their food by absorbing nutrients from the soil. Different types of plants require different sets and ratios of nutrients. After every season, the soil’s nutrients are “used up” and need time to replenish. Crop rotation consists of growing a series of different types of plants alternately to allow the soil to replenish between seasons. Also known as natural fertilizer, composting brings nutrients back into the soil. Typical compost consists of decomposed organic matters such as leaves, food waste, human waste and various other green wastes. As its name suggests, this method of fighting pests relies heavily on living organisms instead of chemical substances. The three main methods of biological pest control are importation (introduction of the pest’s natural enemies), augmentation (supplemental release of the pest’s natural enemies) and conservation (conserving the pest’s natural enemies). A pest’s natural enemies may not necessarily be other types of predators, but they can also be green pesticides such as neen, composed tea, spinosad, or pyrethrin from flowers. Now, let’s analyze the advantages and drawbacks that organic farming presents. The chemical-free foods on your plate (obviously!). Protecting environment from chemical fertilizers and pesticides that cause deforestation and other permanent effects on soil. The added values that encourage health-conscious consumers to purchase organic products. Preventing genetic mutations and other long-term effects on humans and other animals. With intensive use of human labour and machinery, organic farming often produces lower yields than industrial farming. Extensive skills and knowledge are required to make an organic business competitive in today’s market. No preservatives involved means processed organic foods have much shorter shelf-life than regular foods. Therefore, unsold expired products might be a huge cost for producers. Since biological pest control is not 100% effective, considerable amount of crop loss is expected. As you can see, the positive health effects that organic foods offer to consumers largely outweigh the disadvantages. From the business perspective, effective inventory control, accurate demand forecasting systems and a centralized, open knowledge-sharing centre can solve at least two of three major problems. Organic foods: yay or nay? The advantages of organic farming have pushed organic products onto many large grocery retailers’ shelves. Nowadays, you can see the presence of an organic section in almost every food store. The prices of the items in organic section are generally higher than the ones in regular section, simply because that is the price of the products being produced in traditional way without using chemicals and GMOs. So let’s get back to your question about the bananas: aren’t they a little pricey? Yes, they are more expensive than industrial products. But compared to the long-term health effects that industrial products can cost you, the question becomes: are the organic products worth the price? You bet! If you’d like to learn more about organic farming, including how to set up your own organic garden, join the 3Dponics community and connect with health enthusiasts from around the world!